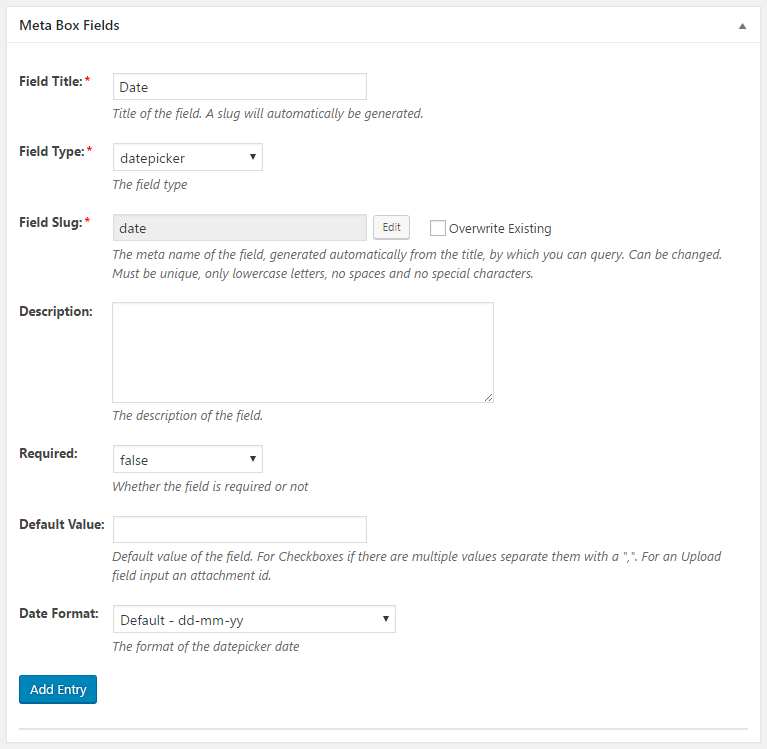 To add a Datepicker Field to a previously created Custom Meta Box, under the Meta Box Fields tab simply insert a Field Title and under Field Type make sure you select Datepicker. 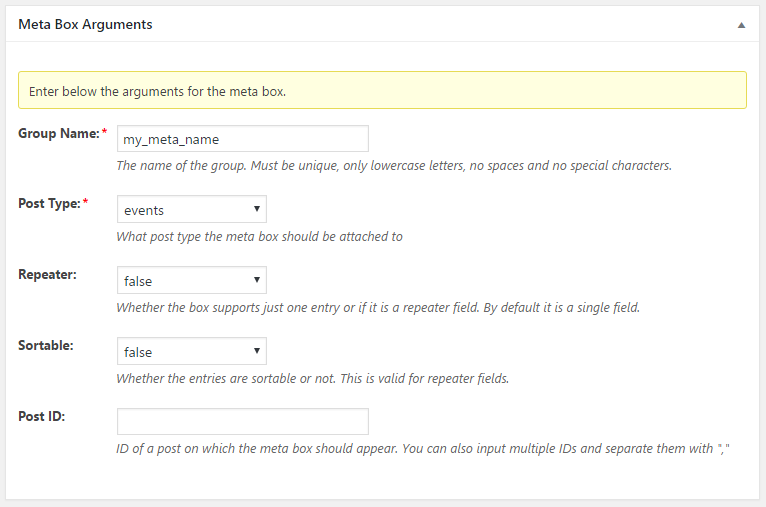 The following examples are for a Custom Meta Box with the “Group Name” argument “my_meta_name“. Make sure to replace this with the “Group Name” you have set up. The Custom Meta Box below is setup to be attached to “Events” custom post type. The Datepicker Field returns a string, in the following format: dd/mm/yyyy.